This book is a collection of the best papers originally presented as state-of-the-art reports or tutorials at the EUROGRAPHICS'91 conference in Vienna. A choice has been made giving priority to information of lasting value. 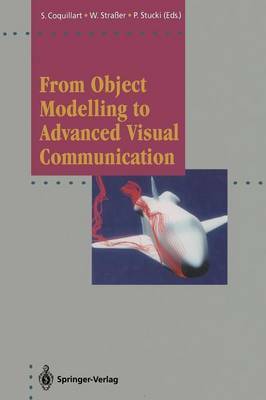 Another goal was to cover all aspects of computer graphics -except hardware -as completely as possible from modelling to advanced visualization and communication. The editors consider that the ten contributions by internationally renowned experts fulfil this goal perfectly. Some important problem areas are treated from different viewpoints thus enhancing and deepening the reader's perspective. Sabine Coquillart Wolfgang Strafier Peter Stucki Table of Contents l. Through the Cracks of the Solid Modeling Milestone 1 J arek R. Rossignac 2. Kinematics and Dynamics for Computer Animation 76 H. Ruder, T. Ertl, K. Gruber, M. Gunther, F. Hospach, M. Ruder, J. Subke, K. Widmayer 3. Dynamic Animation of Deformable Bodies 118 Marie-Paul Gascuel, Claude Puech 4. Stochastic Methods and Non-Fractal Applications 140 Huw Jones 5. State of the Art in Volume Visualization 166 Arie Kaufman 6. On the Theorey and Application of Stereolithographics in Scientific Visualization 178 Eric Hibbard, Michael Bauer, Margaret Bradshaw, Glenn Deardorff, Ken Hu, David Whitney 7. User Interface Management Systems: Present and Future 197 Michel Beaudouin-Lafon 8. Trends in Edge Detection Techniques 224 Eduard Antoniu 9.